I loved growing up in Boston. My beloved knows how often I think back to the lessons learned and ‘education’ received in those formative years of the 1960s and early ’70s. While growing up as a youth in Boston, my friends and I experienced plenty of situations that shaped our characters and our outlook. I know for a fact that my youthful experiences also had a profound impact on shaping my instincts. Should European banks conduct bank stress tests. 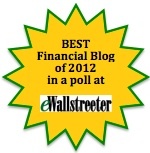 Should individual bank’s test results be publicized? Should the results in totality be publicized? Can the tests themselves be fairly administered and generate robust results? It makes good sense for Europe to conduct a series of stress tests on its banks so that countries and companies have some better sense of their risk exposure. 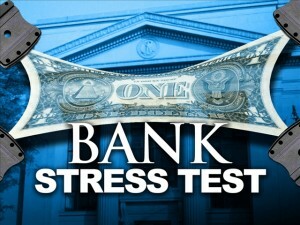 Financial institutions use stress tests to determine the degree to which a bank or financial institution can withstand a shock of a given magnitude. For example, instead of doing a projection on a best-estimate basis, the bank does a scenario analysis looking at negative variables: What happens if interest rates rise to X percent? What happens if loan defaults rise to X percent? What happens if gasoline prices rise to $X? But stress testing has relevance for other entities as well. One can apply stress tests to an entire nation. For example, what is the impact on the U.K. if the euro falls 25 percent? Or what happens to Germany if Greece defaults on its national debt? Stress testing also works with nonbank companies—say, a manufacturer or a retailer: What happens to Nestlé (NESN:VX) if the dollar rises and exports to the U.S. become more expensive? The G-20 Financial Stability Board is urging European nations to publish the stress-testing results of its banks, and cites the openness of stress testing in the U.S. as a factor beneficial to restoring market confidence. Conservative or progressive, we can all agree that more stability in markets is a very good thing. Given the success of the bank stress tests run here in the U.S., should the same tests be administered in Europe as a precursor to economic recovery? Only if you believe in shell games, manipulating vigorous accounting principles, and the concept of “too big to fail.” Aside from that, I believe our bank stress tests were largely a charade, and the same would likely transpire in Europe. For any financial test to be deemed credible, the test itself needs to be truly robust. Those in America may claim our bank stress tests were truly successful, but I firmly believe the tests should be graded incomplete at best. Why do I make this claim? Let’s enter the world of HELOCs (home equity lines of credit). The base-case assumption used in our bank stress tests was for cumulative losses on this product of 6 percent to 8 percent with a worst-case scenario of 8 percent to 11 percent. Those assumptions were ridiculously low. Our banking system continues to be chock-full of likely hundreds of billions in losses on this product. Those losses were largely overlooked in our tests. Would European bank stress tests fully expose the nature and value of a variety of loans held on their books or merely disguise them in the same manner as the U.S. tests? If European governments want to play that game, then they should go right ahead and run the same tests and play the same charade, but do not expect real transparency and integrity along with them. What do you think? How do you score it? Please leave your thoughts and comments at the Bloomberg Businessweek site, as well. Thanks!! European Bank Stress Tests? Nein, Danke!! How do you think the wizards in Washington are feeling about the European bailout structured two weeks ago at their behest? In those two weeks, the Euro has plummeted another 5%, equities continue to suffer, and credit spreads continue to widen. Our Washington wizards are looking back into their bag of tricks and now recommending another of their ‘shell game’ proposals to their European counterparts. Which proposal might this be? How do you spell charade? Try, bank stress tests. 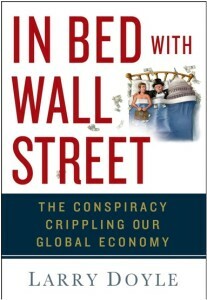 Sin-Ming Shaw, a Thought Leader (left sidebar) here at Sense on Cents, provides sobering and thoughtful commentary on this topic in his article, “America’s Crony Capitalism.” While we all would like a swift, strong, and fast economic recovery, Shaw addresses the lack of integrity and transparency in the process. Many would maintain that “we did what we had to do” or similarly “these ends justifies these means.” I strongly believe the costs have not yet been paid, continue to accrue everyday, and will be astronomical over the long haul. If you want to know just how inaccurate government loss assumptions were in the recently released Bank Stress Tests, let’s enter the world of HELOCs (Home Equity Lines of Credit). Before we address loss statistics on HELOCs, let’s go to the Federal Reserve for a clearcut definition of the product. What is a Home Equity Line of Credit? With a home equity line, you will be approved for a specific amount of credit. Many lenders set the credit limit on a home equity line by taking a percentage (say, 75%) of the home’s appraised value and subtracting from that the balance owed on the existing mortgage. Equity markets have rallied back to unchanged on the year. Libor is back to 1%. Housing is showing signs of life. Other economic indicators are declining at a less rapid rate. Fed chair Bernanke provides a cautiously optimistic tone in his testimony today. So why am I as concerned as ever? Perhaps I do not fully appreciate the benefits of the massive government injections of capital into our economy. Why? I view any short term benefit from the capital injections as merely covering for losses which are still embedded in the system. The bills associated with those losses, in terms of increased interest costs and principal writedowns, are yet to be paid. Where are the losses? Well, the results of the Bank Stress Tests have been leaked and 10 of 19 banks will supposedly need more capital. The commercial real estate market is totally dependent on the government committing to 5 yr loans via the TALF. I view the rebound in the residential real estate market as mortgage mayhem, not mortgage magic. None other than the IMF continues to highlight that our economy has another $1 trillion plus in losses. I will grant Obama and Bush and their respective administrations credit for succeeding to this point in what they were trying to accomplish. However, that success, in my opinion, only means that longer term costs will be steeper and longer term benefits will be further off as a result. Nouriel Roubini and Matthew Richardson address these points in today’s WSJ, We Can’t Subsidize The Banks Forever. From my perch, I view Obama and team as indiscriminately allocating capital across too many programs. I am becoming somewhat concerned that Bernanke is wondering if they have put too many chips on the table.
. . . stress tests aside, it is highly likely that some of these large banks will be insolvent, given the various estimates of aggregate losses. The government has got to come up with a plan to deal with these institutions that does not involve a bottomless pit of taxpayer money. This means it will have the unenviable tasks of managing the systemic risk resulting from the failure of these institutions and then managing it in receivership. But it will also mean transferring risk from taxpayers to creditors. This is fair: Metaphorically speaking, these are the guys who served alcohol to the banks just before they took off down the highway. While the tone feels better, there is no doubt we still have challenges. 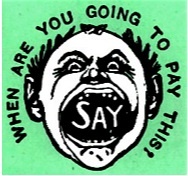 Private enterprise’s interaction with Uncle Sam is one of the biggest challenges. All this said, the government had a choice between immediate losses with excruciating pain or buying time with long term underperformance. They chose the latter. We still have to pay the bill.